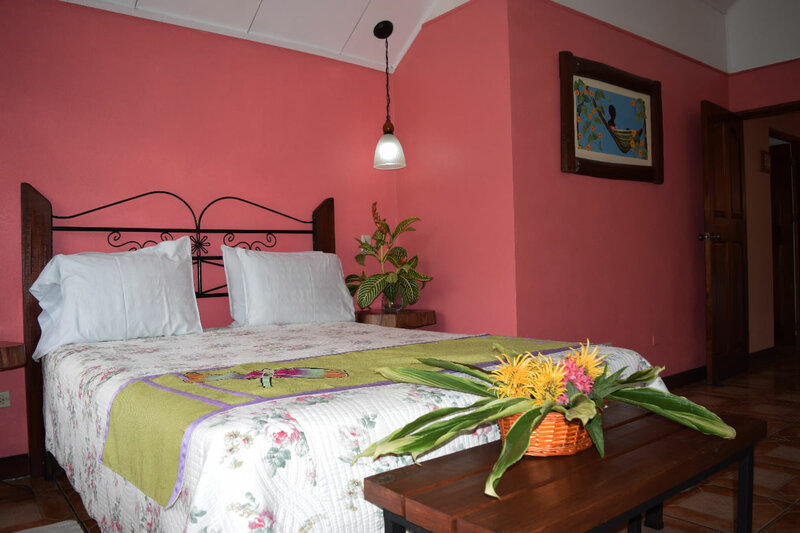 Guayabo Lodge offers 23 standard rooms and 5 Mountain Suites designed to give our guests the comfort they need while traveling through Costa Rica. 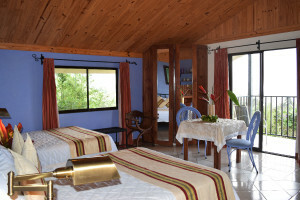 All have panoramic views of the Turrialba Volcano or the Turrialba Valley. Because we are at 1500mt, the temperature is pleasantly cool and no fans or air conditioning is needed in this area. 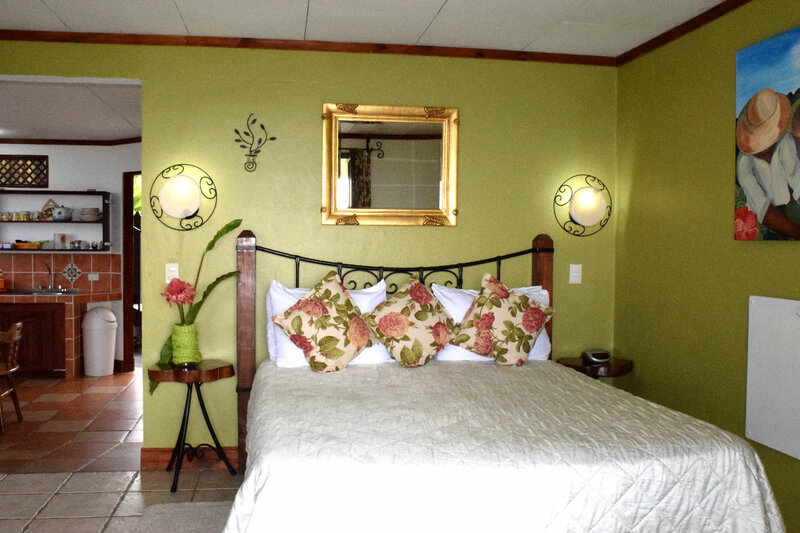 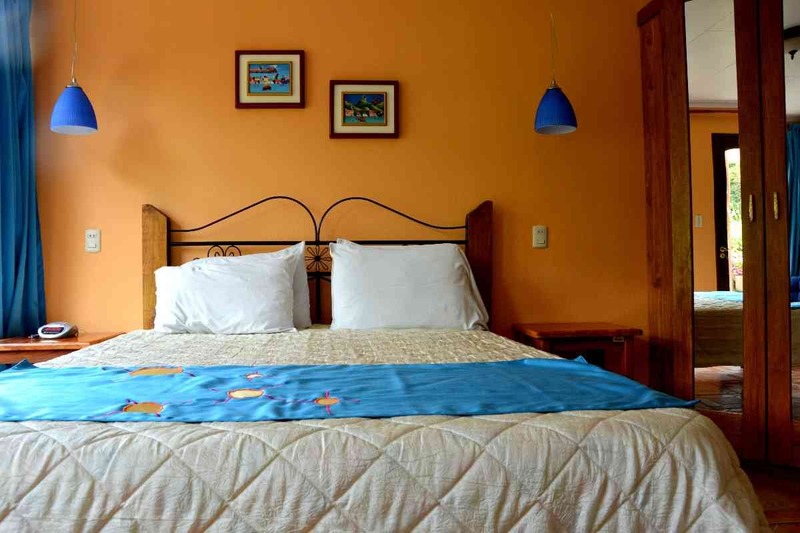 Our rooms are cheerful, light and well decorated: each in a different way and with their own color scheme. 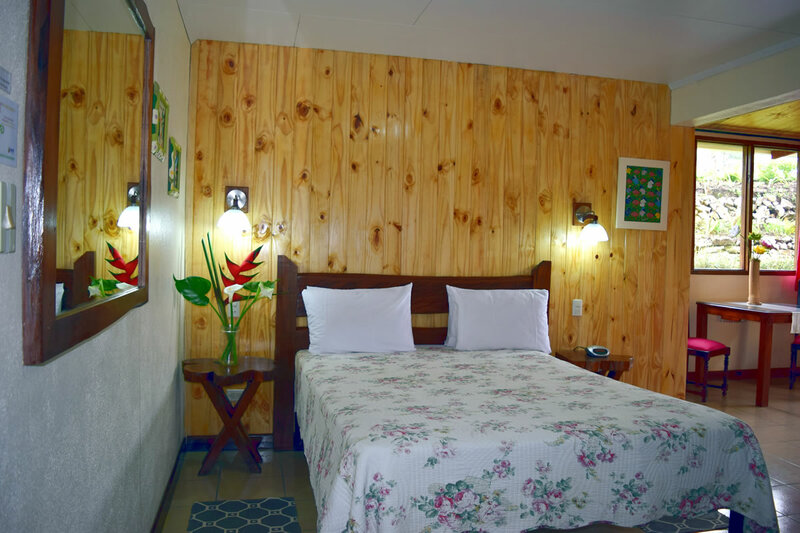 The decoration of the rooms and of the lodge in general, is based on folk art with an emphasis on the nature that directly surrounds the lodge. Local artists have painted the murals in the social areas. 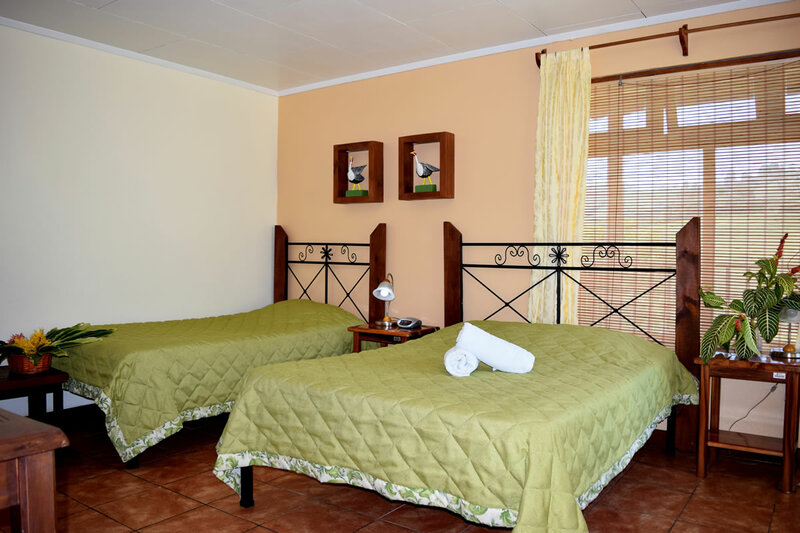 To make your choice of room easier, we have listed the main features of Standard Rooms and Mountain Suites. 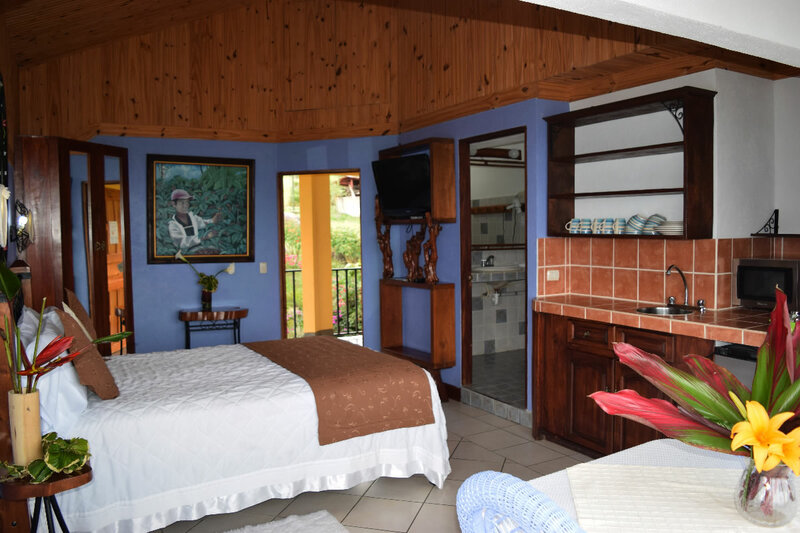 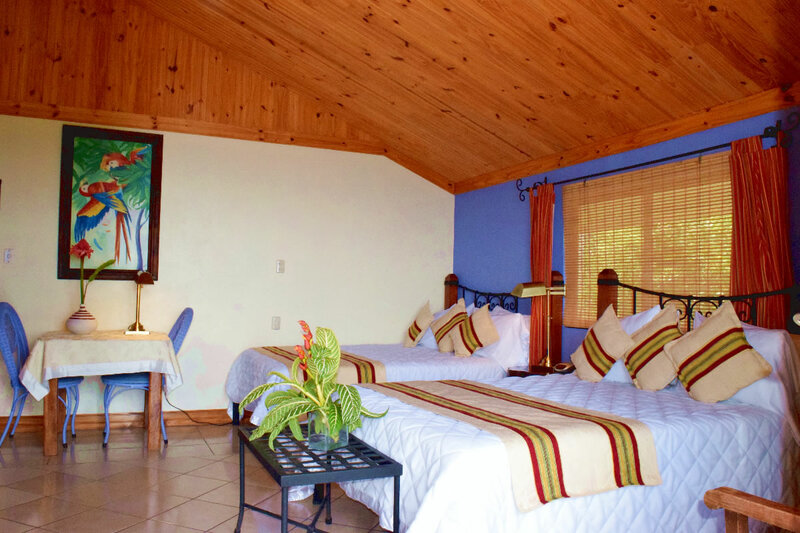 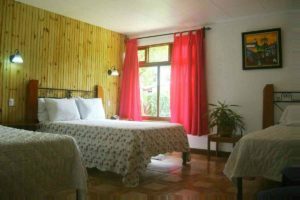 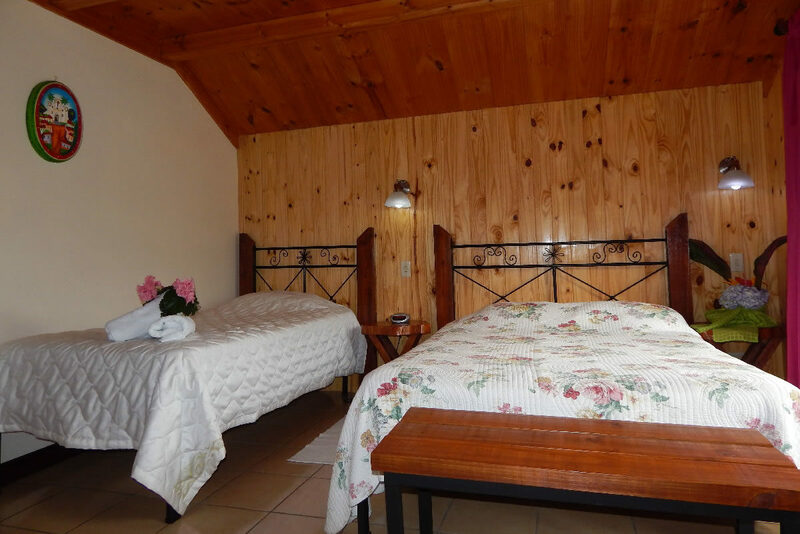 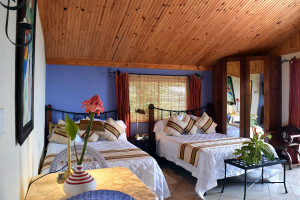 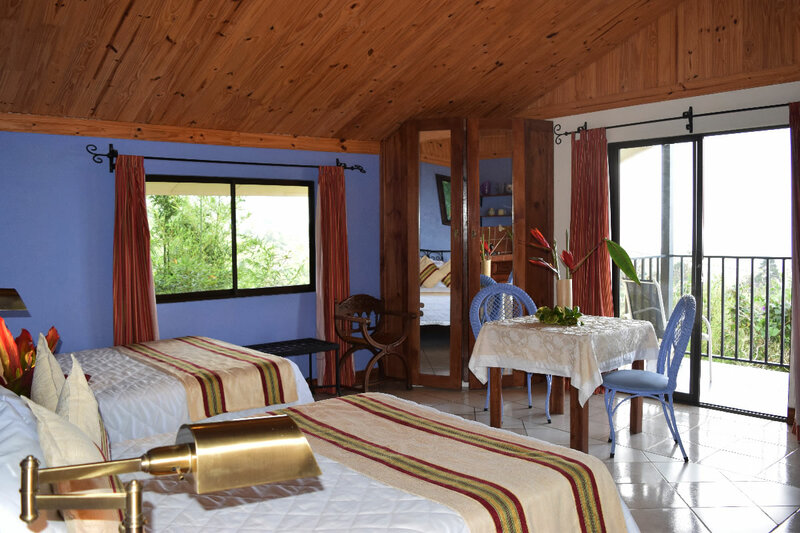 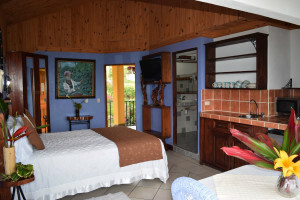 Most standard rooms have balconies with panoramic views to the Turrialba Volcano or the Turrialba Valley. 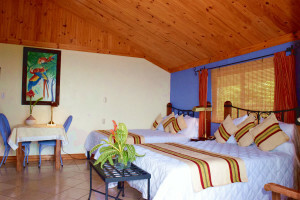 Twin, full or queen size beds, according to type of standard room. Beautiful private bathrooms with shower and hot water generated by solar pannels. 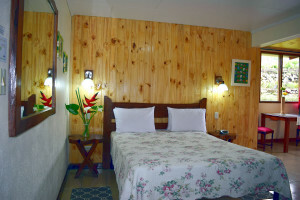 Hair dryer, ecological soap and shampoo in bathroom.